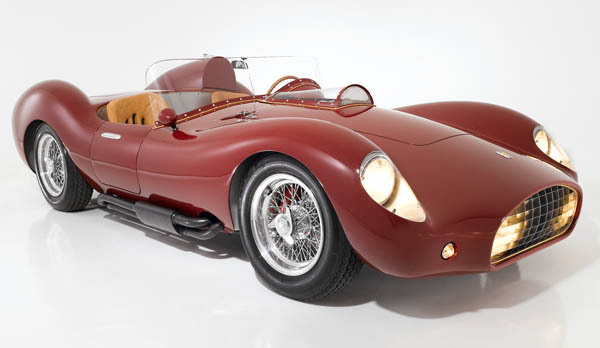 A Scottsdale, Arizona family commissioned this incredible Sport Speciale Sypder, which was totally scratch-built by the award-winning restoration coachbuilders at The Creative Workshop in Dania Beach, Florida. A one-off car with modern engineering and traditional Carrozzeria build techniques, this masterpiece is a seamless fusion of classic style and modern performance, providing soul and character no modern car and precious few classics can emulate. In January 2011, the Speciale was independently appraised at a replacement value of .5 million. The appraisal and all build invoices are available.Completed in late 2007 after a build involving over two years and 7,000 man-hours, the Speciale was inspired by the big-bore European racecars of the late 50s and early 60s with styling cues from such icons as the Ferrari TR 59/60, Aston Martin DBR1, and Maserati 450S. Power is provided by an Fl-inspired, custom-built aluminum BMW V-12 by Dinan Performance, displacing 5,972 cc and delivering 450 horsepower and 480 pounds-feet of torque. Weighing in at just 2,300 pounds, the Speciale’s power-to-weight ratio is an amazing 5 pounds per horsepower. Theoretical performance of the 6-speed Speciale is simply amazing – 251 mph top speed and acceleration from zero to 60 mph in 3.6 seconds!Fuel delivery is via a fully programmable custom Hilborn-style AEM fuel-injection unit with 12 injectors and stacks. Front suspension is a fully adjustable, independent, dual-wishbone setup with racing coil-over shocks and a fully adjustable racing anti-sway bar. Rear suspension is a Jaguar-style independent “drop-out” sub-assembly with inboard discs, four coil-overs, and an Auburn limited-slip. Ride quality is extremely comfortable. Front brakes are Brembo racing discs and calipers, with Wilwood racing units at the rear. Steering is via a BRT rack.Details are period-style and authentic. Gauges are original Veglia units, the steering wheel original Nardi, and the lights are original Marchal and Carello. Switches are Magneti Marelli and the wheels were built at Borrani in Italy, as were the hubs and knock-offs on the original jigs that built the same wire wheels for Ferrari.